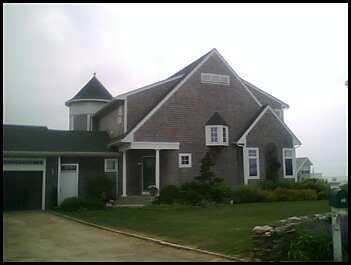 KM Roofing Services is the right choice for your home. 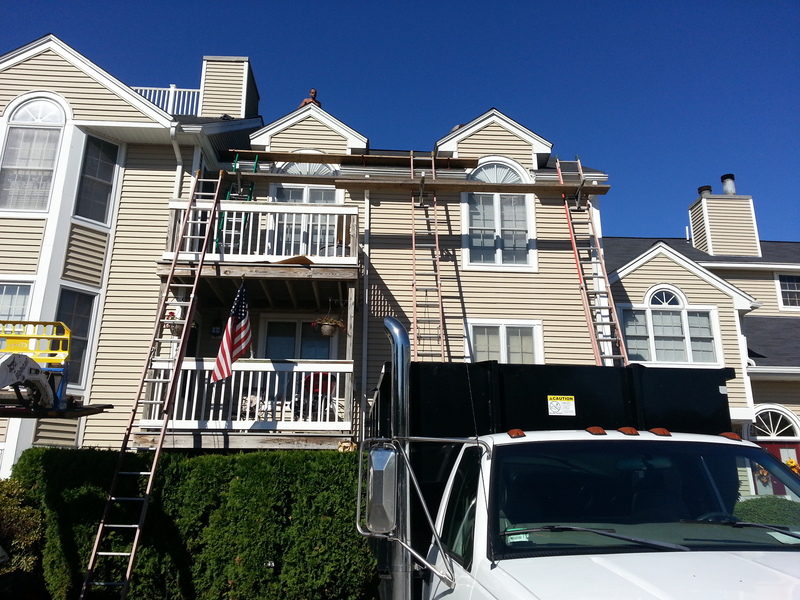 Specializing in Residential Roofing, KM has been servicing New England with high quality roofing services since the turn of the millennium. With KM's honest and courteous staff, quality is always top priority. Our Roofers take pride in their craft and work product. From a small repair, repairing storm damage, to full roof replacement, no job is less valuable as you take pride in your home, and we take pride in protecting it. 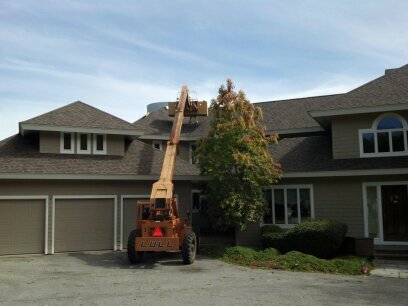 Roof repairs can be a stressful experience whether you need a minor repair, routine maintenance or storm damage repair. 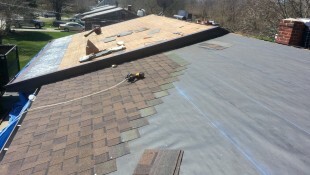 KM Roofing Services understands this and with over 20 years experience you can know you are in good hands with our caring and knowledgeable staff, who are always available to answer any questions or concerns to put you at ease. Why do I Need these materials on my Roof? 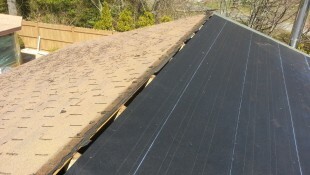 Felt or tar paper offers a moisture barrier under the shingles. Felt is actually compressed fiberglass sheets that has been impregnated with the tar. 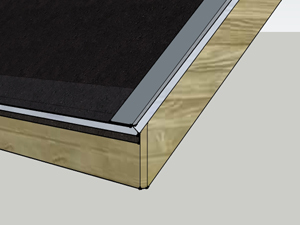 Roofing drip edge is the metal flashing that covers the wood decking at the edge of a roof and supports the roof shingles. one of the most common defects I find with asphalt shingles is improper nailing. The manufacturers of asphalt shingles give specific instructions on how to fasten shingles, and they’re all pretty much the same. Unfortunately, following those instructions seems to be a difficult thing to do for a lot of roofers. 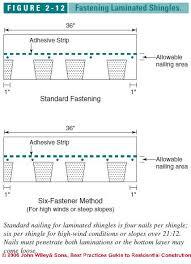 At KM we make sure all nails are installed to manufacturers specification to give you full wind Resistance. Before stripping a roof, the first thing we do is protect the house and grounds. So at the end of the work day, your house and yard looks exactly the way it did when we got there. All trash is hauled away the same day, this way you don't have to have a big ugly dumpster blocking your drive way, or even worse ruining it. At KM we treat roofing like finish work, snapping lines every four courses to keep your Roof straight and parallel. Why use KM Roofing Services? You've heard the nightmare roofing stories, Don't let that happen to you. 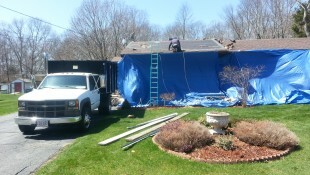 KM Roofing services is fully licensed and insured for over $1 million in liability coverage. Need proof? Just ask and we will provide it. All Roofers have been extensively & properly trained, and are certified Certianteed Master Shingle Applicator™ and GAF Master Elite™ Certified. All roofs are done according to the manufacturer specifications to provide the best quality work.